In the past, Javier Hernandez was the super-sub at Manchester United who seldom failed to hurt Chelsea, and the situation has not much changed since then, as the talented figure delivered Antonio Conte’s men a lethal blow last night. Chelsea were booed off at home, which was undeniably ungracious given the neat performance they displayed, as West Ham secured a draw with the score split one each for either side. 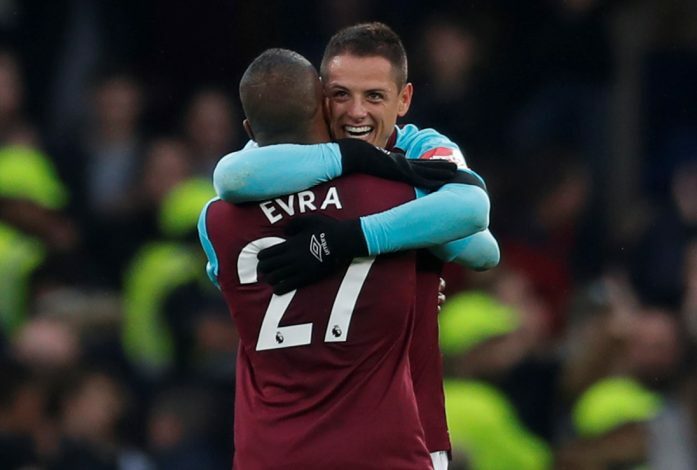 Chicharito appeared as a substitute, replacing Edimilson Fernandes, to net in a strike with his first touch of the contest thereafter, to present his side with a crucial away point at the Bridge. The instrumental forward celebrated the goal with Patrice Evra, which bestowed the Premier League fanatics with a facade of the past episodes, wherein the duo celebrated at Stamford Bridge when they were committed to Mancunian football. Further, another striking aspect of the match would be the fact that it was the fourth time the former United striker appeared as a substitute at Stamford Bridge in the Premier League, scoring all four times as well. Notwithstanding the change in teams, he has remarkably not failed to maintain the candied record. The Blues played admirably well, and the away side wouldn’t have seized the valuable point if it wasn’t for Joe Hart’s brilliant display of saves, although the result stung a bit for the hosts. This draw has left Antonio Conte’s side 10 points off Tottenham with only six games still to play. Last night’s result has undoubtedly sealed off their Champions League hopes for next year.